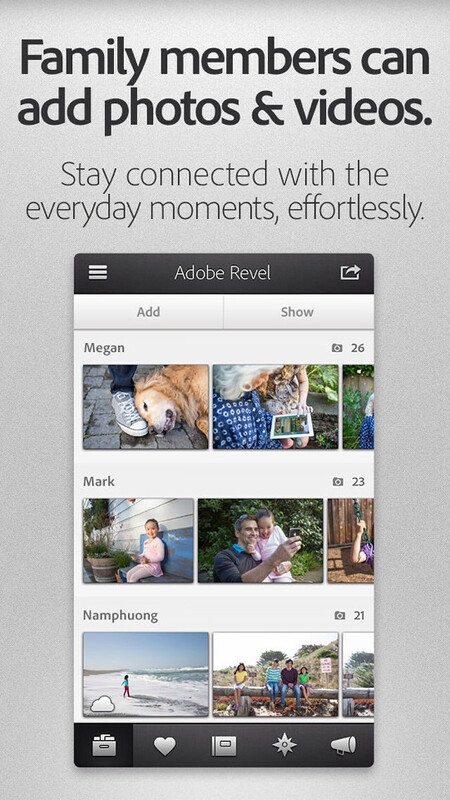 Adobe has updated Revel with iOS 7 compatibility. Bring your family closer together with Revel, the private place to view and share your everyday photos. Encourage family members to add their photos, and together you'll create a library rich in memories. -Revel works on a variety of devices, so everyone can play a part. Get the whole family involved! 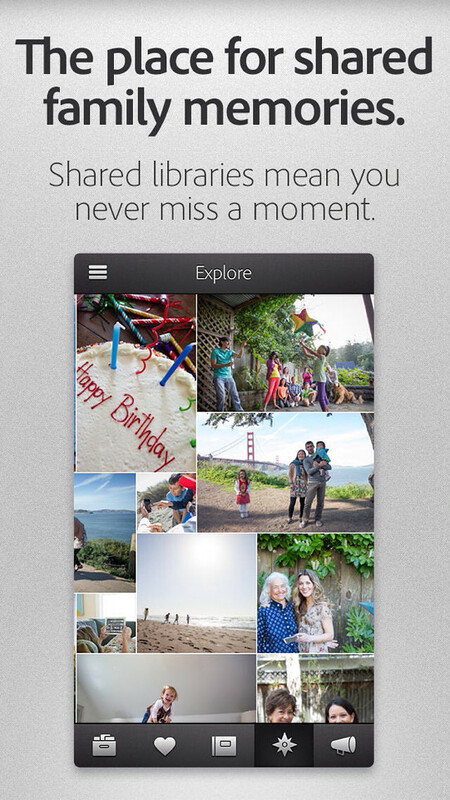 -Sharing photos is both effortless and private. You shoot, Revel syncs and shares them for you. 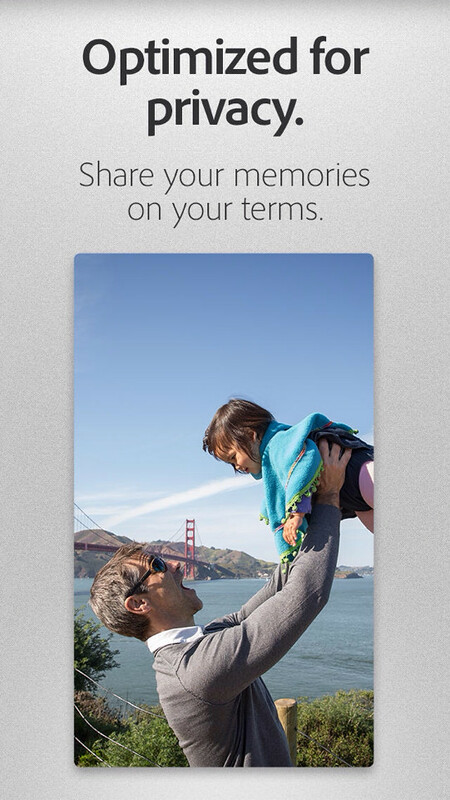 -Stay in touch with faraway family members by sharing daily moments, automatically. Easy-to-use settings make it a cinch. 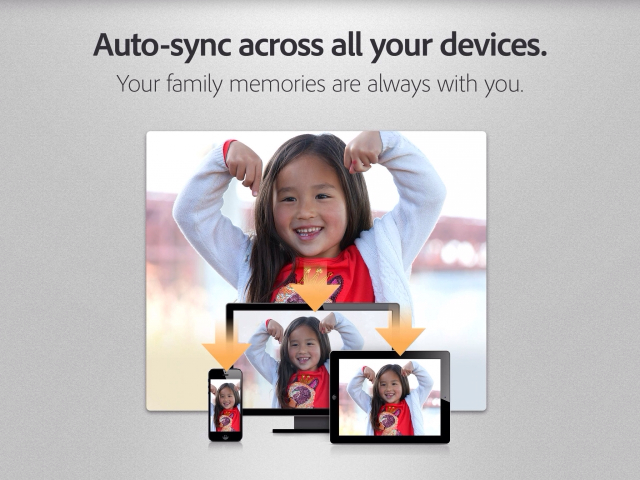 -Synching without thinking: be confident knowing that your memories are secure, backed up in the cloud, and sync'd to your various devices. -Reduce hassle: with all your photos in one organized, accessible place, there's no more headache locating photos. 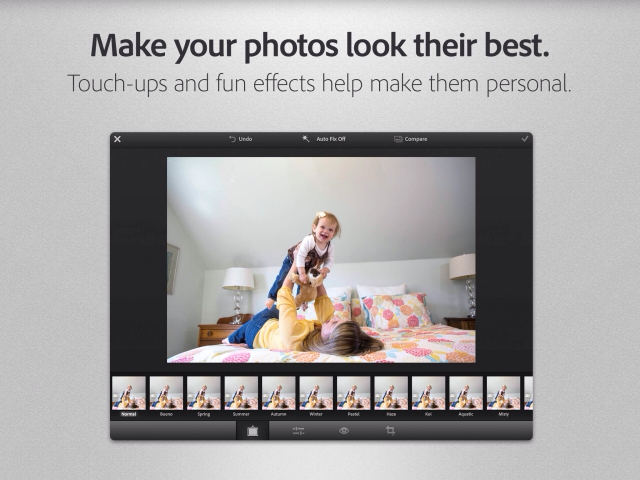 You can download Adobe Revel from the App Store for free.